Note for AIIMS Recruitment 2018 : For more Information, visit Detail Advertisement. Selection of candidates will be made on the basis of the Computer-based Examination. General/UR/OBC/Ex-Servicemen Candidates have to pay Rs. 1000 through online mode using Net-banking/Credit or Debit Card. SC/ST/PWD Candidates don’t have to pay any fee. Interested and eligible candidates may apply online through AIIMS Raipur website - http://www.aiimsraipur.edu.in/ - from 13-12-2017 to 12-01-2018. 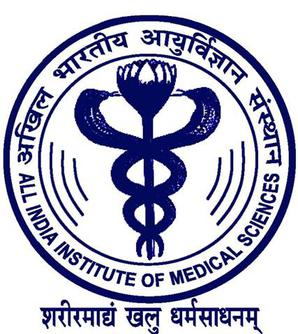 All India Institute of Medical Sciences, Bhubaneswar (AIIMS) has released a notification for the recruitment of 293 Senior Residents and Junior Residents. Interested candidates may check the vacancy details and apply online from 08-12-2017 to 06-01-2018. For Senior Residents: Candidates should have passed MD/MS/DM/M.Ch. in respective discipline recognised by MCI/Institute of National Importance. For Junior Residents: Candidates should have passed MBBS from an institution recognised by MCI and must have internship completion certificate and registration under any State MCI. (as on 06-01-2018) Maximum 33 years. General/UR/OBC candidates have to pay Rs. 1,000 and SC/ST candidates have to pay Rs. 500 through online mode using payment gateway of AIIMS, Bhubaneswar. OPH candidates don’t have to pay any fee. Interested and eligible candidates may apply online through AIIMS, Bhubaneswar website - http://www.aiimsbhubaneswar.edu.in/ - from 08-12-2017 to 06-01-2018.